My (secondhand) Kinesis came in a well-looked after condition and was fitted with Frogs cantilever brakes and TRP brake pads. Those have been fine as I made my first steps into the murky world of ‘cross racing, but in the last couple of races (with some more aggressive hills and corners) I’ve found the brakes juddering and not giving the level of power/control that I’d expect. I’m sure that the Frogs are fine brakes when they’re new, but as with anything, especially stuff used for racing, they wear out… and that seems to have introduced enough ‘play’ in the set-up to make them less effective. Planet X can supply a full set of Frogs brakes for about £30 at the time of writing (7th July 2014), but I guessed that if I was replacing parts on the Kinesis then I should shop around and see what the options were. Shimano and Avid both do some really smart sets of cantilever brakes, the Shimano CX70 Ultegra brakes in particular were very nice and recieved good reviews, but they were going to push the budget to close to £100, which was a step too far given my upgrade plans are still up in the air. 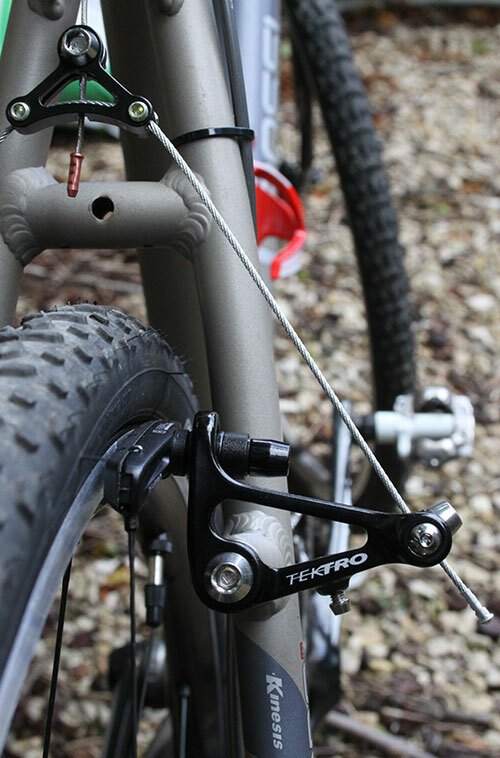 General consensus across most of the cyclocross forums and blog posts seemed to come back to the Tektro cantilever brakes as the ‘staple’ brake for keen, albeit recreational, cyclocross racers and tourers/commuters. 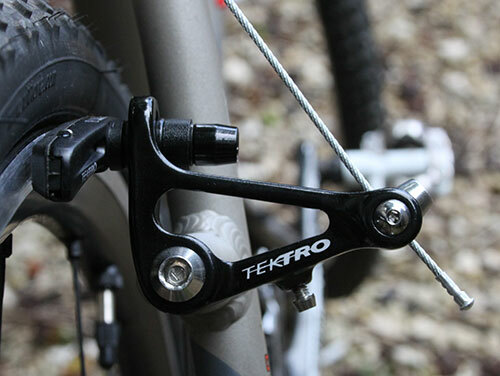 There are two main options for the Tektro brakes, the CR520 and the CR720, but aside from the pads I couldn’t find any real difference between the two… I’d like to say that I went for the cheaper CR520 on the basis of having to replace the pads at some point in the future, but I found a full set of CR720s for just £30 at High On Bikes, so went with those. The CR720s arrived in the post and have been really simple to fit and get set-up – just a set of Allen keys for the various bolts, and it’s all done. So far I’ve only had a short spin on these brakes, but it’s immediately obvious that the brake judder (not to mention the shrieking) has gone. The brake pad adjustment was not the easiest, with the pads wanting to twist as it was tightened into place, but they seem to be relatively tolerant of some margin for error in their toe-in… maybe because they’re stiffer than the old Frogs? So now I need to get an extended ride at race pace to see how they fare when pushed harder.